One of the critical facts on Vitamin C is that it is often described as the master water-soluble vitamin because it works throughout your body to maintain or improve health. Vitamin C deficiency can result in scurvy, a disease that is not so common today as it was in the age of European exploration. At that time, when the causes were unknown, on voyages longer than 3 or 4 months without touching land and eating vegetables and fruits with Vitamin C, a large proportion of the crew would suffer from scurvy. 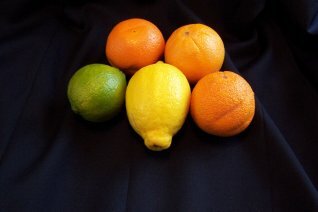 As early as 1593 Sir Richard Hawkins had extolled the virtues of "sour oranges and lemons" as the most effective way to prevent the outbreak of scurvy, and a controlled experiment with limes was conducted in 1747 and published in 1753 (giving rise to the once widely used nickname "Limeys" to describe Englishmen - someone ironic since lemons have about 4 times the Vitamin C of limes - but then we'd have to call them "Lemons" which might get confused with cars built in the UK). By the 1790's scurvy had been largely eradicated in the Royal Navy. OK enough history, let's get back to health issues more prevalent today. •	As a first line antioxidant protection it neutralizes free radicals - this is one of the critical facts on Vitamin C - if you want more information on free radicals and the dangers they pose to your health click on Neutralizing Free Radicals (opens in new window). •	You’ll find quite a bit more about nutrition, nutritional supplements and pregnancy in It’s About Health. The link is at the bottom of the page. That's some of the facts on Vitamin C. It also performs other functions and evidence shows it is useful in preventing and/or assisting in the treatment of several conditions or diseases. Consult my book, It's About Health. A link is at the end of this page. What is Vitamin C? It is the master water-soluble vitamin and it works throughout the body to help maintain your health, so you want to be sure that the form you choose will work the best. This type of Vitamin C puts more Vitamin C in your bloodstream than ascorbic acid (the most common and the cheapest form of Vitamin C), and maintains that higher level for close to 10 hours. Vitamin C is well tolerated with doses as high as 9000 mg/day reported. Higher doses can cause diarrhoea and possibly kidney stones in persons susceptible to them. So while a Vitamin C overdose is not impossible, it is easy to stay within the upper limits. So that's a lot of facts on Vitamin C and now you know we're not talking about the Vitamin C Graduation Song. But if you need a music video break click here (opens in new window).